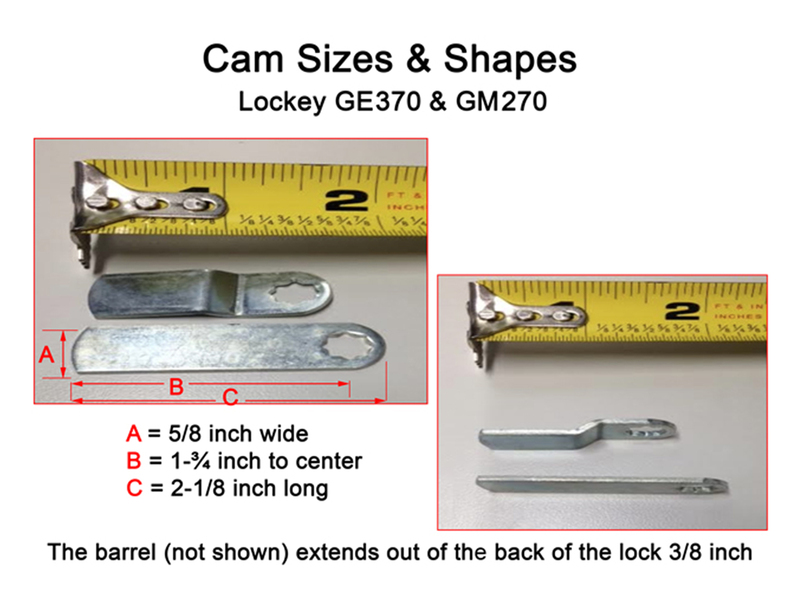 The Lockey GM270 is an affordable surface mounted lock that can be either flush-fitted with the provided flush-fit clamp box or surface-mounted with the provided surface-mount sleeve. 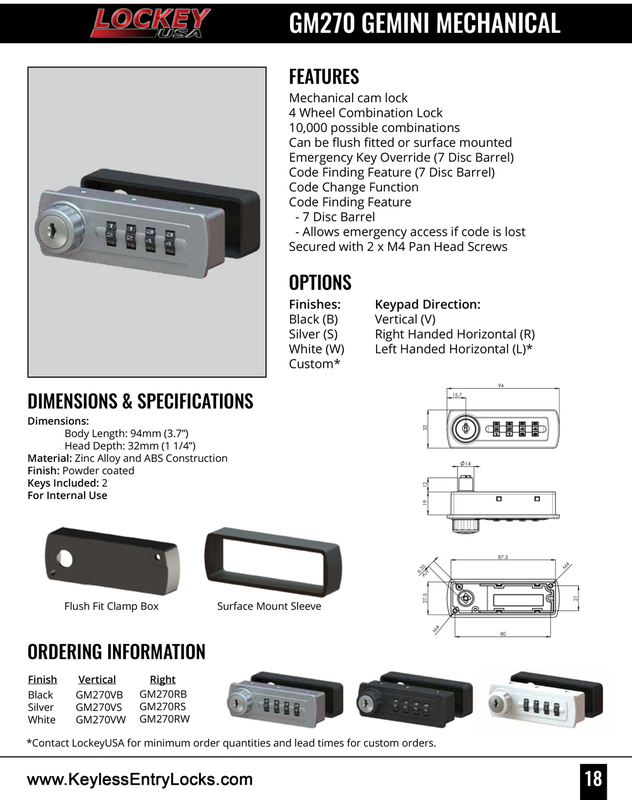 If you don't need all the advanced features of the Lockey EC Locker/Cabinet Lock, order this cabinet electronic lock and save money. BOLT TYPE: Locks with a rotating cam. These are typically used on a cabinet door with no inside handle. Must be locked manually. DOOR THICKNESS: fits cabinet and locker doors. DOOR/GATE TYPE: (locks for cabinet doors on hinges which are typically thinner than most building doors); (locks for hinged doors on lockers that are typically made of thin metal or wood); (locks for standard doors/gates that swing and are made of wood/vinyl/glass/metal, with/without vertical posts or pickets). LOCKS FOR ...: (locks for cabinet doors which are typically thinner than standard doors); (locks for lockers with very thin doors usually made of metal or wood). 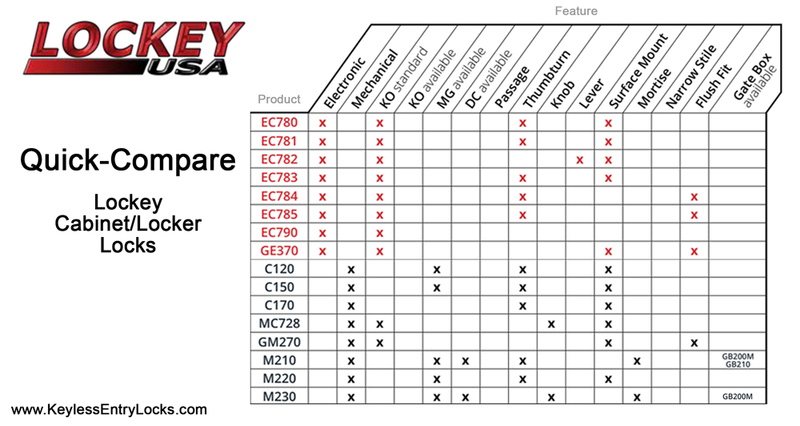 WARRANTY: Lockey 3-Year Electronic Cabinet and Locker Lock Warranty. 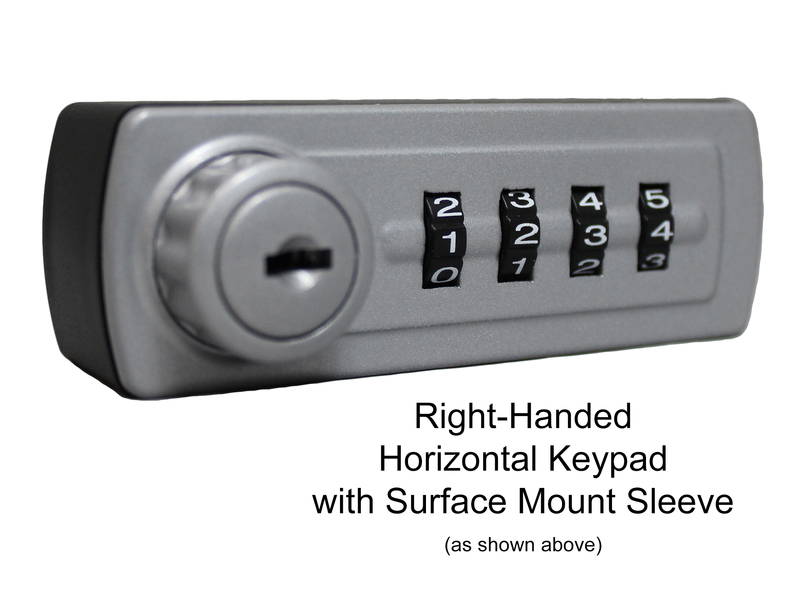 WAYS TO LOCK/UNLOCK: (unlocks by rotating dials with numbers); (unlocks by using a keypad on the outside only); (unlocks by using either a metal key OR a keypad). WEATHER RESISTANCE: Locks that can be exposed to the weather on both the outside and the inside. ; Locks where both sides are designed for indoor use only. PUBLIC MODE - used for locks in public spaces such as fitness locker rooms, shared work spaces, festivals, amusement parks, etc. In this mode, each person gets to set their own code after they put their things in the locker. The code is only good until the lock is opened. The lock only knows the current code and does not store any previous codes. To prevent people from keeping a lock indefinitely, an administrator can optionally set up a time when these locks will unlock automatically until the next use. Once people are aware of this procedure, they no longer try to store items for extended periods. 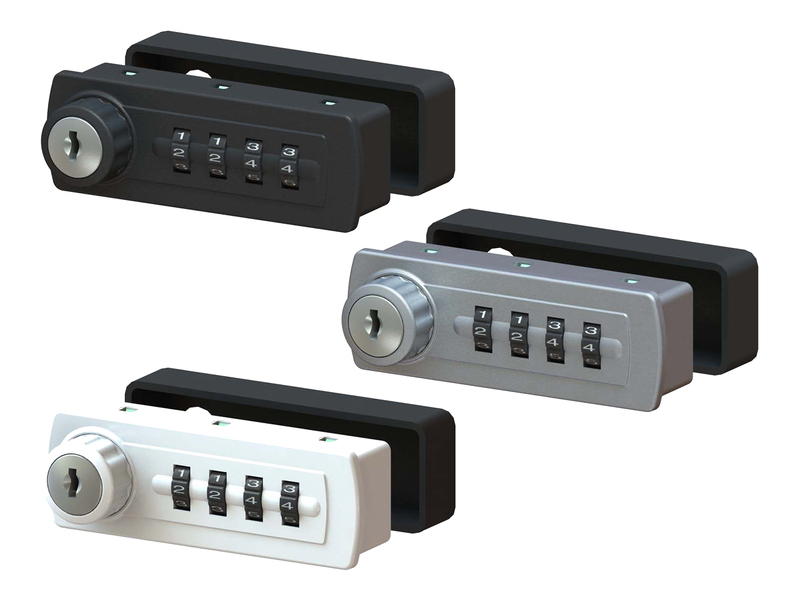 PRIVATE MODE - used for locks in private spaces such as cabinets, lockers, drawers, etc. In this mode, the administrator assigns a permanent code for the lock and gives it to an individual or group. The lock only knows one code, which is shared among one or more people. 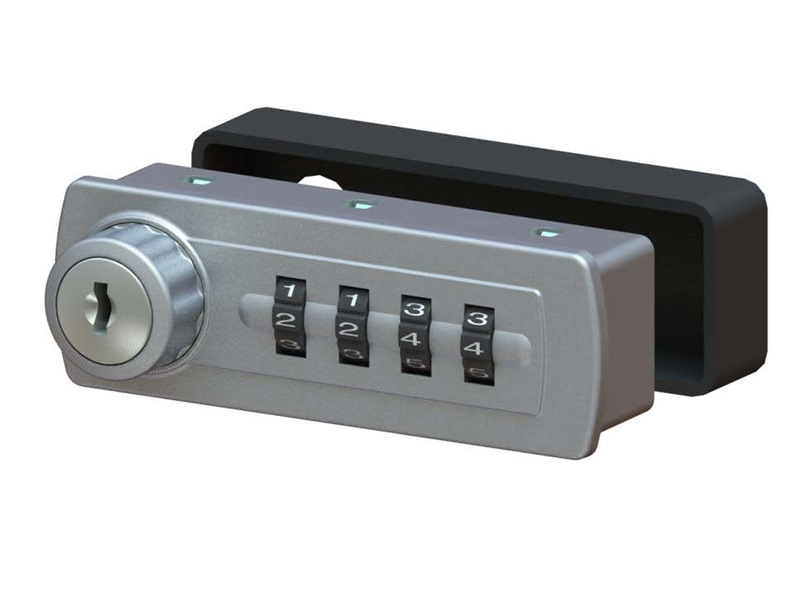 After someone enters the code, the lock will open and remain open for 4 to 5 seconds before it automatically re-locks. It will never stay unlocked permanently. The Master Code will grant access to ALL programming functions on the locks, so it is usually only given to the administrative personnel. It can also be used to open all locks. When used, this code will delete the currently defined user code on the lock. The Submaster Code and the Tech Code will open all locks, but not allow them to be reprogramed. For example, the Principle or Supervisor will often have the Master Code, the Assistant Principle or Assistant Manager will have the Submaster Code, and all maintenance workers and/or technical staff will have the Tech Code. Then, if any of those people leave their job, only one code will have to be changed. 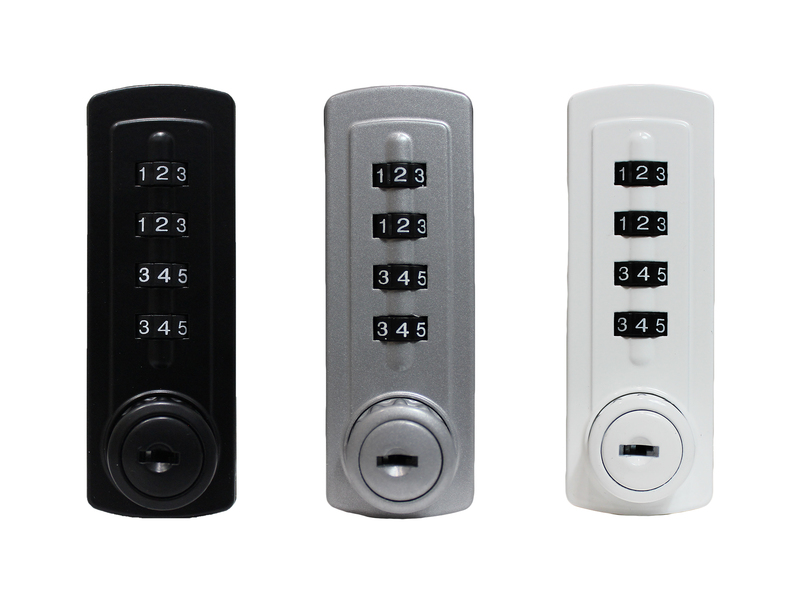 This covers manufacturing defects to the electronics of the electronic locker lock. Use of a non-synthetic lubricant will damage this lock and will not be covered under the warranty. 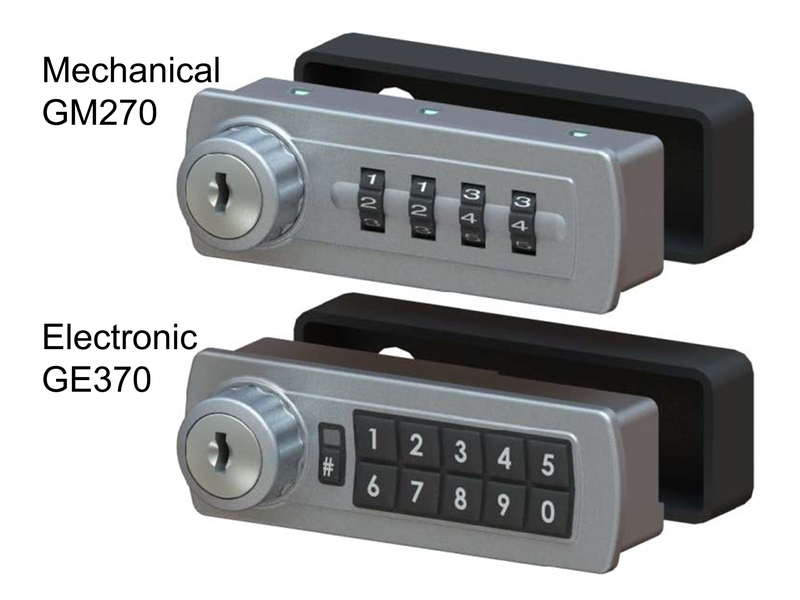 The Three-Year Electronic Warranty does NOT cover the finish of the lock or defects resulting from vandalism or improper installation or use.